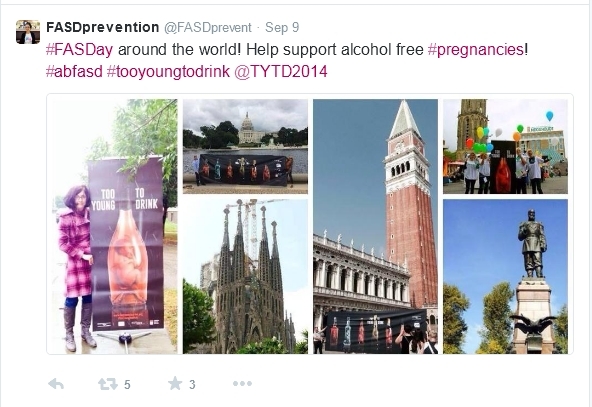 You are currently browsing the tag archive for the ‘alcohol and pregnancy campaign’ tag. A new campaign from the territorial government of Nunavut is getting some media attention. (See the coverage in the Huffington Post here and CBC here). The media coverage discusses how responses to the campaign have been mixed with opinions ranging from “effective” to “offensive.” This follows discussions last week about a campaign in Ontario by the Liquor Control Board of Ontario (LCBO) that spurred one mother to make a formal complaint. 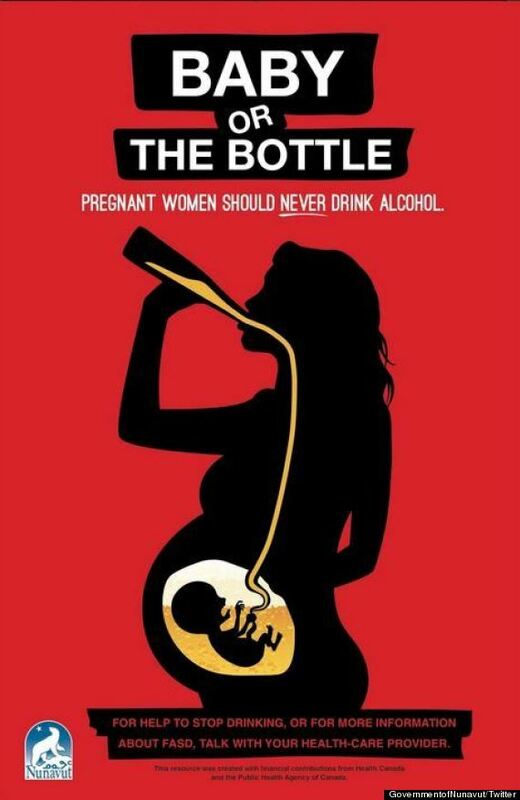 The LCBO campaign was critiqued for suggesting that mothers who drink during pregnancy are irresponsible and uncaring. Rather than promoting love, it was suggested that the campaign promoted shame and guilt. 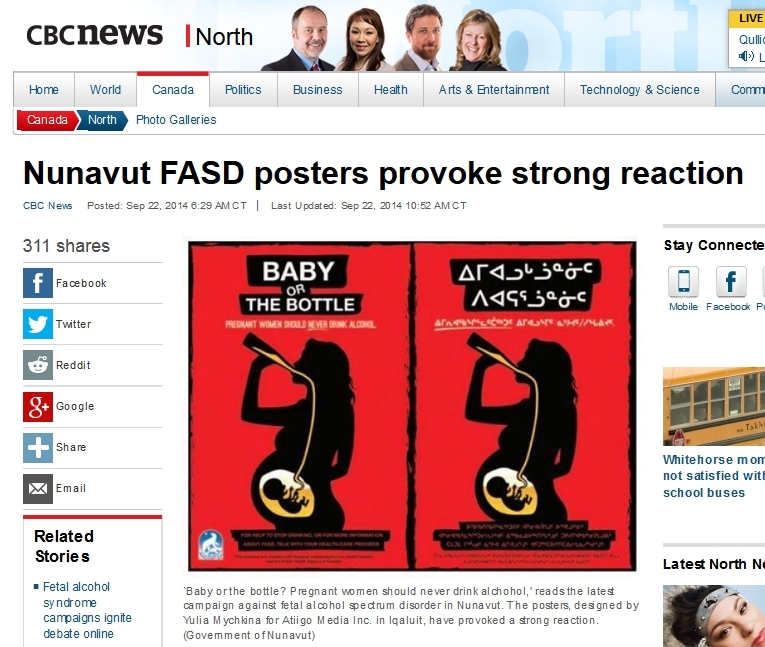 The Nunavut campaign takes a different approach with the use of a shocking image and threatening message (“Pregnant women should never drink alcohol”), but still raises similar questions about the target audience and what is actually being communicated. While public health authorities clearly state that there is “no safe time, no safe amount, and no safe kind” of alcohol use during pregnancy, this type of campaign can lead to mixed effects or even have unintended consequences. While most women stop drinking after learning they are pregnant, some women continue to drink due to addiction or other related concerns. For these women, the use of shocking images or the suggestion that women who love themselves and their baby bump won’t drink can lead to feelings of shame and embarrassment – which makes it hard for women to reach out for care and support from family, friends, and health care providers. An article published by Kathryn E. France and colleagues in the journal Substance Use & Misuse looks at the development and testing of advertising concepts for a campaign to promote abstinence from alcohol during pregnancy in Western Australia. France and colleagues conducted a series of nine focus groups with women on beliefs and attitudes on alcohol use during pregnancy and motivations for behavior change and gathered feedback on four television concepts that used different types of messaging. Study participants also appreciated specific strategies for avoiding alcohol during social situations. This study supports previous research showing that fear-based messaging can be effective if the behaviour that is being promoted is achievable by the viewer, i.e., women who drink alcohol in general. Fear or threat-based messaging promoting abstinence is not helpful for women with alcohol problems. The authors also comment on the importance of being honest and factual about the limits of research on alcohol during pregnancy. Most women believed the public health guidelines that alcohol should be avoided during pregnancy, but questioned whether light drinking was a major concern.